In this final installment, FishDuck.com Feature Writer Caleb Couturie will be analyzing the last of the 25 teams in the NFL Draft that may look to select Marcus Mariota. Tampa Bay is a mess. In a year where a team with a two-game below .500 record could’ve made the playoffs, watching Tampa Bay dwindle (again) in the weak NFC South was especially hard. 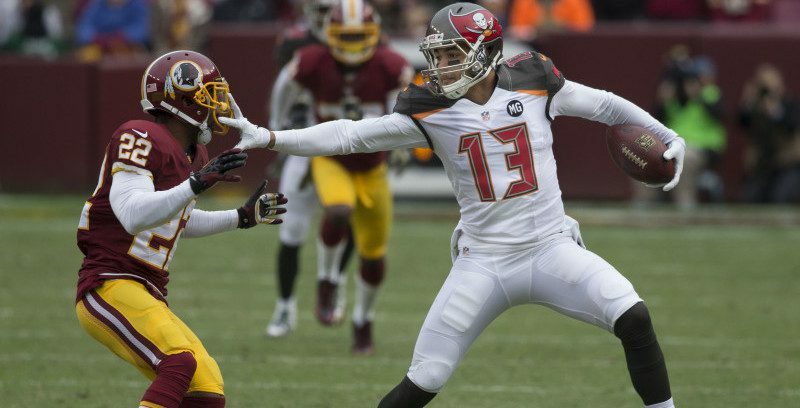 In a tale of two Joshes, Tampa Bay watched both Freeman and McCown drive their team into the ground. The secondary needs help, the RB position is non-existent, but far and away the most glaring need down in Florida is a QB. As the team with the No. 1 pick, Tampa Bay will almost certainly take one of the two top QB prospects. Tampa Bay takes Marcus Mariota with the No. 1 pick. It’s either him or Jameis Winston. After watching both perform admirably at the combine, Tampa Bay is in for a tough decision. Out of all the teams thought to land the No. 1 pick , TB was definitely the most promising. Mike Evans, a healthy Doug Martin, Vincent Jackson and an on-the-mend offensive line look like, as an offense, they’re one or two pieces away from figuring it all out. Evans especially looks like a future star, and VJ could provide Mariota with a solid veteran receiver that he could rely on. The weather down in Florida would be a lot like home for Mariota, too, which I’m sure would be quite the seller compared to some of the other snow dens. Not Week 1. Give McCown/Mike Glennon one or two bad starts each though, and I predict Mariota could be thrust into action as early as Week 4.